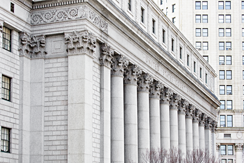 A practitioner must always be cognizant of the possibility of a defendant’s Grand Jury testimony being used at trial. This article explains how it is that this can happen. Case law clearly provides that a defendant’s Grand Jury testimony can be admitted into evidence during the People’s direct case. The introduction of such testimony into evidence depends on whether the statements made are a party admission voluntarily made.Use of a defendant’s Grand Jury testimony falls outside the scope of CPL 670.10. CPL 670.10 bars the use of the prior testimony except in three limited circumstances; i.e., where a witness is unavailable due to “death, illness or incapacity, or cannot with due diligence be found, or is outside the state or in federal custody and cannot with due diligence be brought before the court.” See CPL 670.10-1. The Courts, however, have acknowledged that CPL 670.10 is not a bar to prior testimony that may otherwise be admissible as a hearsay exception. People v. Robinson, 89 N.Y.2d 648, 652 (1997); People v. Rose, 224 A.D.2d 643 (App. Div. 2 nd Dept. 1996); People v. Jones, 236 A.D.2d 217, 219 (App. Div. 1 st Dept. 1997). A defendant’s Grand Jury testimony is, by definition, a party admission. Rose, 224 A.D.2d at 643; Jones, 236 A.D.2d at 219; People v. Koestler, 176 A.D.2d 1207, 1208 (App. Div. 4 th Dept. 1991). Since a defendant’s Grand Jury testimony is an exception to the hearsay rule, it may be introduced independent of CPL 670.10. See, Jones, 236 A.D.2d at 219 (defendant’s Grand Jury testimony “was admissible as a party admission, [independent] of CPL 670.10”). The fact the defendant’s testimony may contain exculpatory statements does not preclude its admission. Koestler, 176 A.D.2d at 1208. Furthermore, where the proceeding is properly conducted, a defendant’s Grand Jury testimony is always voluntarily made. The record of the Grand Jury procedure will reveal a defendant’s “representation and discussion with his attorney, and the fact that he was specifically advised that his Grand Jury testimony could be used against him.” People v. Calixto, 118 A.D.2d 599, 600 (App. Div. 2 nd Dept. 1986); See, Jones, 236 A.D.2d at 219. The record will also reveal that a defendant signs a waiver of immunity after receiving an explanation and after consulting with an attorney. People v. Benzon, 114 A.D.2d 506, 507 (App. Div. 2 nd Dept. 1985). That a defendant did not receive Miranda warning upon arrest and prior to testifying before the Grand Jury affects neither the voluntariness of the defendant’s testimony nor the admissibility of the testimony. Id. At 507. Finally, there is no CPL 710.30(1)(a) requirement for the introduction of a defendant’s Grand Jury testimony at trial. The Supreme Court in People v. Steele conducted a thorough analysis on this issue. 134 Misc.2d 629 (Sup. Ct. New York Ct. 1987). CPL 710.30(1)(a) requires notice of statements “made by a defendant to a public servant , which statement if involuntarily made would render the evidence thereof suppressible upon motion”. CPL 710.30(1)(a) (emphasis added). According to the Court, the Grand Jurors are not public servants as defined by PL Section 10.00(15) and envisioned by CPL 710.30(1)(a). Id. at 631. The Court also noted that “[i]t is hardly conceivable that a statement to the Grand Jury by a defendant after signing a waiver of immunity in the presence of his attorney could be considered involuntary.” Id. at 630. See also, Jones, 236 A.D.2d at 219 (Grand Jury testimony “was exempt from the notice requirement of CPL 710.30(1)(a)”).